Labour Law is better defined as a complex matter of balancing the rights and obligations that employers and employees have towards each other. With the continuously improving legislation, organizations are struggling to maintain thousands of labour contracts and documents ranging from employment agreements, confidentiality agreements, noncompete and non-solicit agreements, training bonds, consultancy agreements and secondment agreements to severance agreements. Even a small in attention in these matters can cause to a severe detriment of the organization, both commercially and legally. These instances exemplify the significance of timely and quality advice on various aspects of labour laws. Legal Info solutions Pvt. Ltd. (Legal IPL) is an expert in this field and provides all the necessary support for companies in solving any employment related matter before it is too late and therefore avoid exposure to any financial or legal damages. “All government departments are trying to computerize every function but they lack sufficient workforce, who can manage these software/hardware and other IT related services efficiently. Above all, most of the time government servers or websites would be out of commission. So, those companies, who don’t know how to carry out labour law compliances independently and are totally dependent on government departments, feel helpless. 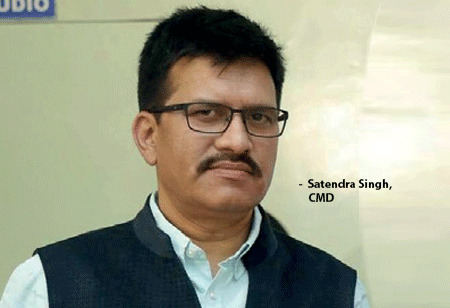 In this context, LegalIPL renders efficient and prompt services to our esteemed clients with a full-fledged office set-up having the most modern communication facilities, fully computerized environment and highly qualified staff,” says Satendra Singh, CMD at Legal Infosolutions Pvt. Ltd. Aimed at providing the ultimate satisfaction to the clients by dealing ethically and consistently, LegalIPL endeavors to save the clients from any legal hassle and provide solutions for all types of legal problems under one roof. “LegalIPL.com is a leading HR Company focusing on Statutory Compliance for Establishments, Factories, besides Payroll Compliance, Contract Labour Compliance, Consulting and Audit, Flexi Staffing and Payroll Services. We have expertise in Labour Laws applicable to various States and offer services on a PAN-India basis with our own resource and infrastructure supported with inhouse technology,” Satendra added. Based in Ghaziabad, LegalIPL is an ISO-9001:2008 certified Labour Law Compliance Outsourcing venture of LEGALIPL Consulting Group. Their associate lawyers hold graduate and postgraduate degrees in law, have a thorough knowledge of the Indian laws and help to solve intricacies involved in various legal procedures through client-friendly services. Before implementing the orders, they evaluate the papers for reliability and completeness and assure complete privacy on clients' information. Being a one-stop compliance solution, LegalIPL endeavors to offer the best consultancy services to the patrons, which ensure 100% contentment. Since its establishment in 2001, LegalIPL has grown substantially by catering to a wide client base. Some of the major clients include Mother Dairy Fruits & Vegetables Pvt. Ltd., Radisson Hotel, Timex Group, Caparo Engineering I Pvt. Ltd, Toyo Ink Ltd, and Merino Industries Ltd. “Passion, Integrity, Customer satisfaction, up-to-date knowledge about the latest cases, facts, Government orders, Liasioning with government officials are the main major factors that have contributed towards the growth of the firm. Along with a strong clientele and industry reputation, we could also achieve a prominent position in India’s development initiatives through our national level development organization, UTTHAN INDIA. UTTHAN is working for Clean, Green, Healthy and Educated India, and it also works and pro¬motes to spread awareness about Indian Culture, Dance, Music and Folks and more. Today, we reach out to more than two Lakh underprivileged children in around 22 states of India through our NGO UTTHAN INDIA’s various education and health care projects,” Satendra shares. Recipient of several prestigious awards, which comprises Small Business Award-2017 by Times Group and Dr. APJ Abdul Kalam Award-2015, LegalIPL wish¬es to become the leading law firm in India and provide the most prompt as well as cost-effective disposal of any dispute. With the right mix of expertise, work ethics, high-performance team, and core values, LegalIPL is heading fast to achieve their vision soon.